Color poster. Size 42 x 29 cm. 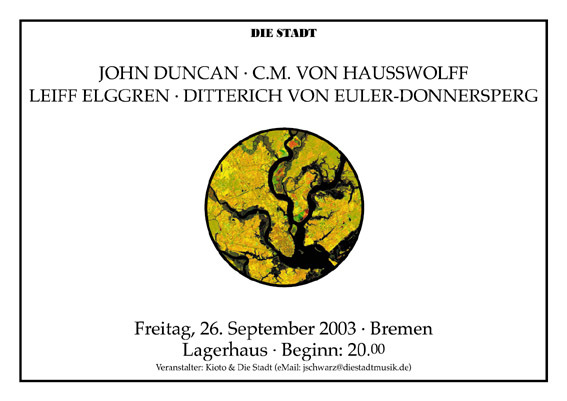 A poster specially printed for the live performance at the »Lagerhaus«  Bremen on 9. May 2003. Silver/Black/White. Size: 42 x 29 cm. A limited edition of 100 copies was printed on special paper  same paper that was used for the insert of Michael Prime's »Requiem« LP (DS42). 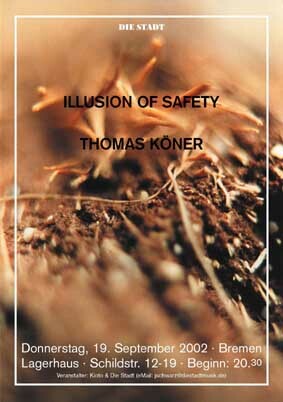 PLEASE NOTE THAT THE SPECIAL VERSION CAN NEITHER BE FOLDED NOR ROLLED AS THIS WILL CAUSE DAMAGE TO THE POSTER. 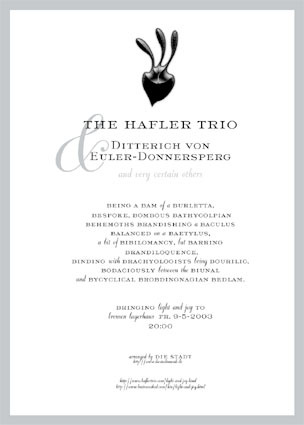 IT WILL BE SEND IN A SPECIAL A3 HARDCOVER ENVELOPE. Same design as the poster (grey & white lettering on black shirt) this features the h3o logo on the front and the text of the poster on the back. This shirt was specially produced for the h3o / Donnersperg tour in Germany in 2003 and sold at the shows. The remaining stock being sold now through mail order. Only 100 made. SIZE XXL ONLY. Special printed full color promotional poster feat. 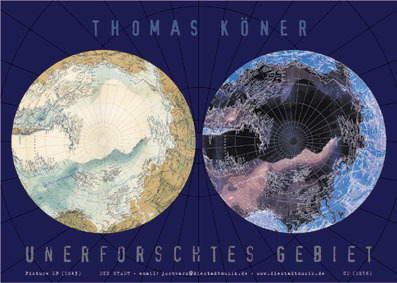 the design of both the picLP and the CD version of the monumental »Unerforschtes Gebiet«. Size: 42 x 29 cm. 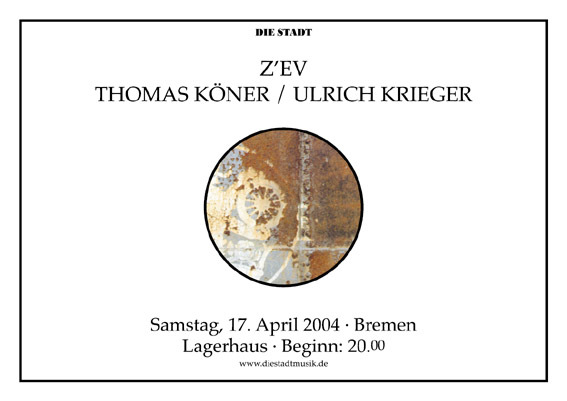 Full color poster of the live performance. Size 42 cm x 29 cm.